Journalists have accused their newspaper of “muscling in” on an independent entertainments website as it undertakes an online rebrand. Trinity Mirror has announced it is rebranding the Birmingham Mail’s website as Birmingham Live and separating it from the print product, with what it is calling “a small net reduction” in newsroom roles. 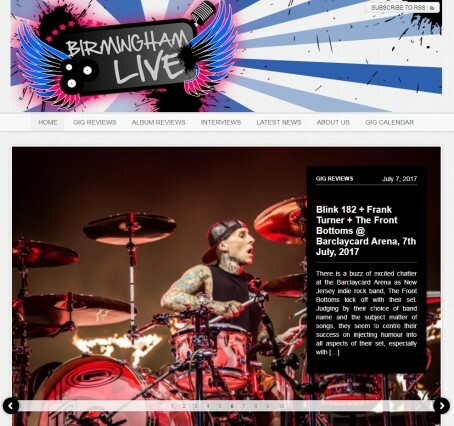 However an independent music review site already exists with the name Birmingham Live and Twitter handle @birminghamlive, although the site operates under the domain name www.brumlive.com. The site has previously posted on Twitter about the Mail’s announcement, accusing the Mail of “trying to steal our name” and urging its readers to “watch this space”. The accusation came in a statement by the Birmingham Mail National Union of Journalists’ chapel issued today which also threatened industrial action if the changes lead to compulsory redundancies. But TM says there has been “no confrontation” with the current Birmingham Live and that the company had purchased a different domain name for its new portal, www.birminghamlive.com. In the statement, the NUJ chapel revealed it had passed a no confidence vote in Mail editor Marc Reeves and claimed up to 10 jobs will be lost at the Mail as part of the current changes, which will also see the company centralise its production operation by publishing more shared content across regional titles. However, Trinity Mirror accused the NUJ of being “deliberately misleading” and of exaggerating the number of job losses, which HTFP understands is likely to be between five and seven. The NUJ chapel said: “In a cruel twist only one week after production staff were told their jobs were safe, we are told that two more jobs will be axed in a ‘separate’ national cull. This is despite an overstretched workforce with staff working double shifts and countless hours to get the newspapers completed on time. “The editor’s plan for our print production team was completely undermined by this national announcement a few days later. It is disturbing that our senior management are not talking to each other when making sweeping changes to the business. A TM spokesman responded: “The NUJ are being deliberately misleading, and attempting to muddy the waters. We have been open and honest with them about our ambitions for the business, so it is disappointing they have chosen to misrepresent the facts and mislead their members. Sorry, but I think I’ll back the NUJ’s word if you don’t mind. Especially when TM tries to hide further cuts and redundancies by claiming that “change is necessary if we are to build a long term sustainable business”. They’ve hardly done an outstanding job up to now have they and their ‘long term sustainable business’ is gradually dying around their ears with no-one at the top seemingly recognising what should be staring them in their face.